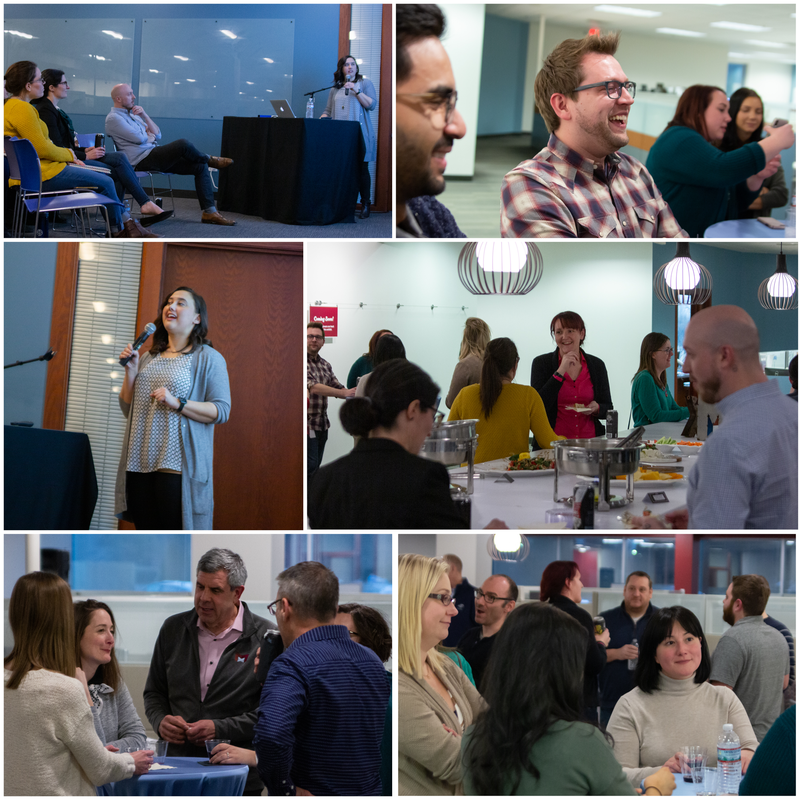 We recently hosted an in-house lecture event featuring a knowledgeable and entertaining speaker, digital/UX expert Jenni Ross. She shared interesting experiences and inspiration with us, focusing on the big topic of digital transformation. After many years of digitally transforming products and processes at companies in the technology and health care industries, Jenni assured our group that a digital transformation strategy need not feel ominous or overwhelming. Digital transformation is all about change, and not just changing over from an analog process to a digital one. For people in all levels of an organization, there will be changing goals and focuses as digital transformation takes place. For business leaders, it may mean changing processes to become more efficient and reduce operating costs. For tech people, it may mean modernizing their tech stack and deploying tech for e-commerce. And for marketers, digital transformation goals may consist of changing strategies to meet ever-evolving, digitally driven customer expectations. And according to Jenni, no matter how you’re planning to transform, one element remains crucial — managing the change in a human-centered way. When you’re knee-deep in a digital transformation project, having others work with you and offer their input (even if it doesn’t make the final cut) will help them become advocates of the process and will ease the transition to the new digital initiative. “Be sure to multiply and accelerate your influence by creating advocates,” Jenni explained. Jenni detailed several ways we can foster empathy and support change management as we work on digital transformation projects, including drawing out ideas instead of just writing them, iterative design, guerilla usability testing, and more. If you’re looking for more insights to help inform your digital transformation strategy, check out the below Q&A video with Jenni. You’ll definitely walk away with a few new thoughts to discuss with your team. And to learn more about future Mx events, subscribe to our blog and event email list here. What Is Digital Transformation, and Why Should Marketers Care?